SNAV services the Naples Lipari route during the summer with hydrofoils directed to the Aeolian Islands. The Island of Lipari is the route terminal. It is the largest of the archipelago, the result of geological processes of volcanic origin. The island boasts a millenary history: each corner is characterised by traits left by foreign dominations that ruled the island during the centuries. Greeks, Carthaginians, Romans, Byzantines, Arabs: Lipari is the result of cultures and traditions unique in the world. Every population left a legacy of churches, buildings, monuments and if you are fond of historical beauties, this is the ideal place for you. 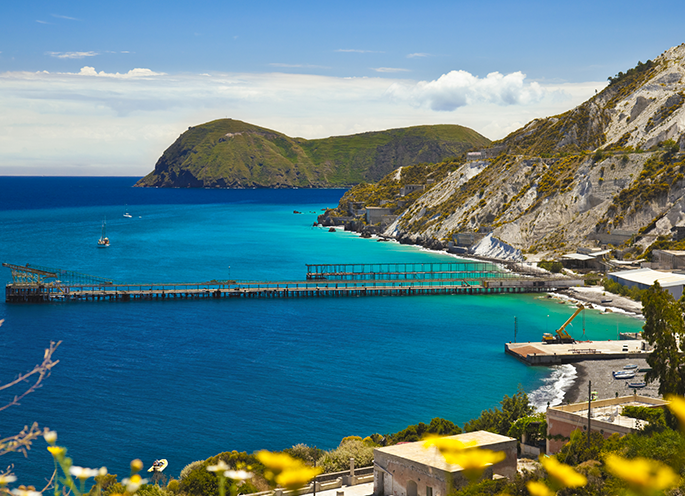 However Lipari is not only art and culture, but above all relax and nature. The volcanic landscape outlines breath-taking natural views; the entire coast of the island is characterised by bays, inlets and coves that, together with a clear blue sea and rocky bottoms, create panoramic views with no equals.